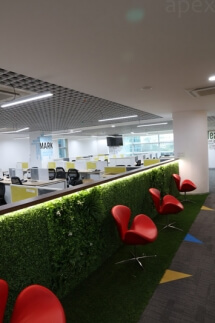 Apex has designed & built the office interior fitout for SBI Cards, Mumbai at Andheri (E). The total area of the project is 21,000 SFT. The design concept was based on a Millennial friendly office space as majority of the team members who will be seated at this office are millennials. The office has collaboration areas, breakout areas and a recreation room. These areas help team members take a break and reduce work related stress. This also makes the office a fun place to work in. 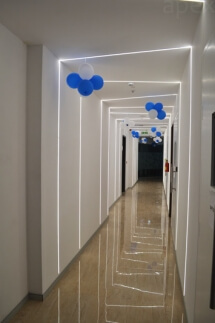 This entry was posted in Commercial Interior and tagged design, millennial friendly office, mumbai, office interior, office interior at andheri, SBI cards. Bookmark the permalink.